I preheated the oven to 350. I cooked the spaghetti noodles. 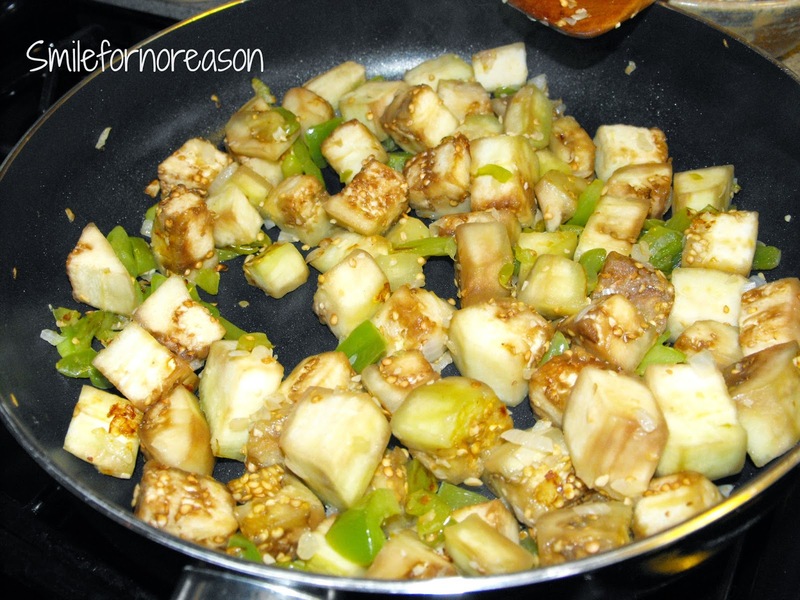 While the noodles were cooking, I cut up the onion, green pepper, and eggplant. 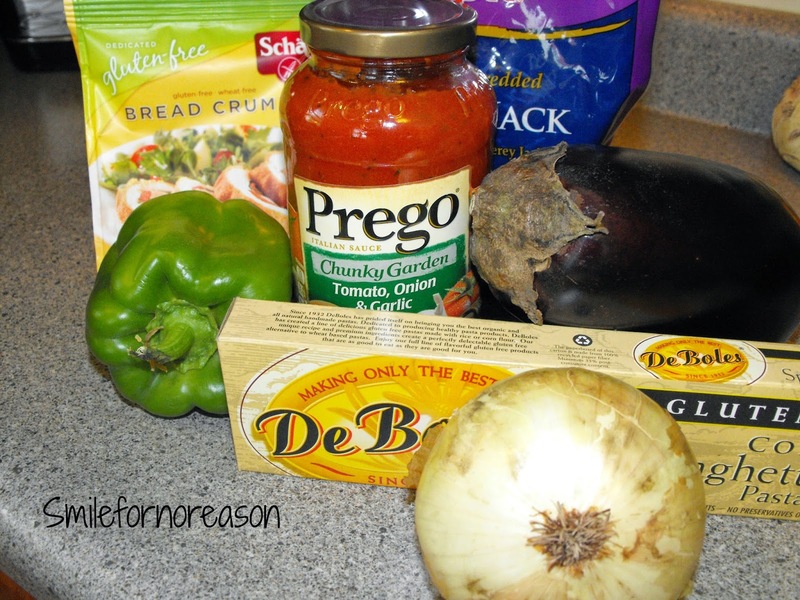 I sauteed these ingredients together with a little Extra Virgin Olive Oil. When the the vegetables had finished sauteing and the noodles were cooked, I layered the noodles in the bottom of the casserole dish. I then added a layer of the vegetables and sauce. I added a layer of cheese. I put the casserole in the preheated oven for half an hour. Just before the casserole was finished, I added the bread crumbs on the cheese and broiled them for approximately 5 minutes. 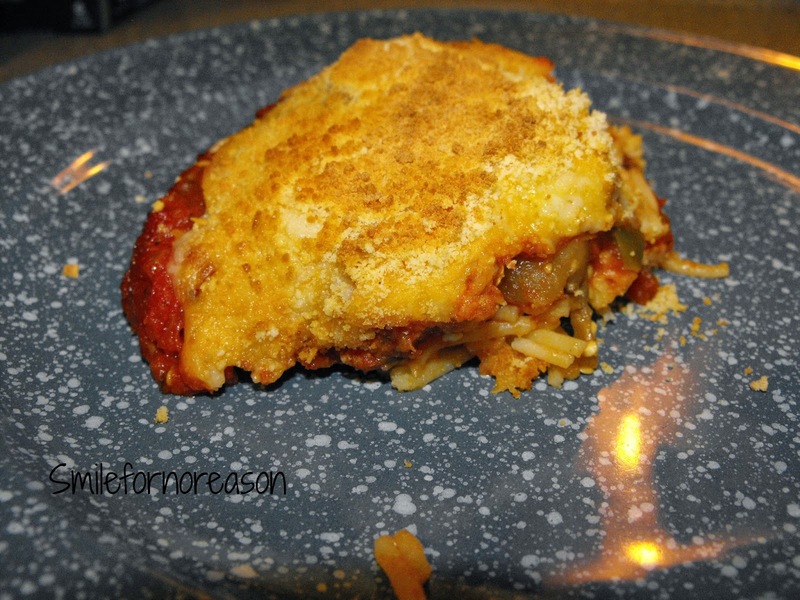 Served with a side salad and your vegetable of choice, this was a fabulous and easy meal. I had plenty left over for lunch the next day and 2 more evening meals. This was a hit in my home! What To Do With An Empty Egg Carton? My Sewing Machine Has Not Had A Rest!